The access ramp at 12th St. and Speer Boulevard connects travelers to the street network. The Cherry Creek Trail runs from downtown Denver for more than 40 miles, connecting multiple suburbs and counties to the heart of the city. The trail is below grade for much of the way, following the bed of the creek. This minimizes the number of road crossings, and thus reduces conflicts between cars and nonmotorized travelers. 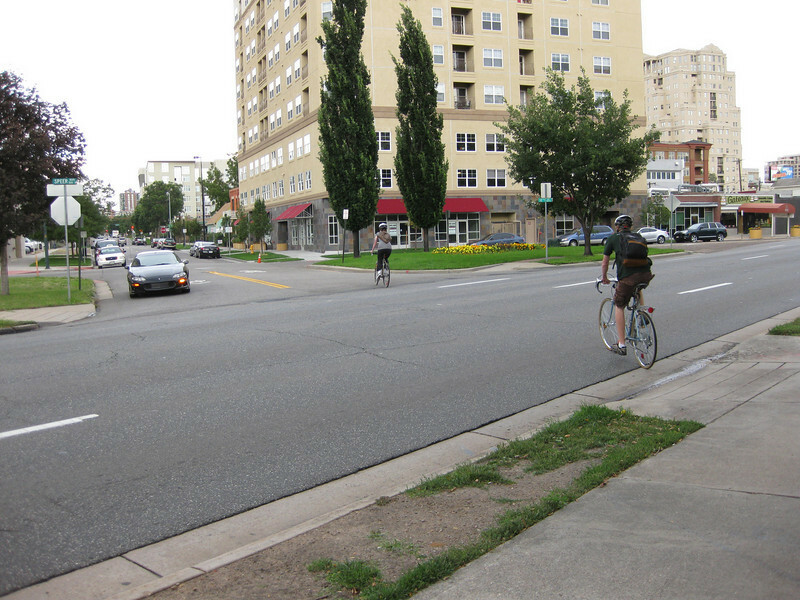 Residences, jobs, schools, parks, and shopping are all seamlessly connected on the trail corridor. The trail is a regional effort. Various TE grants with differing sources of matching funds have contributed to constructing and improving the trail including $417,000 in 1999 to the City of Denver, $164,844 in 2001 to the town of Glendale, $365,000 in 2003 to Arapahoe County, and an additional $315,000 to Denver in 2005. The end product is a trail that is one of the spines of a regional network of trails connecting travelers and destinations throughout the Denver area.